Is this list . 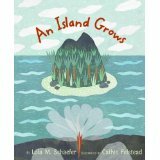 . .
A. a list of the most prestigious awards in nonfiction writing for children? B. a short list of the awards won by our faculty members teaching nonfiction workshops at the Highlights Foundation? If you said "A and B," you are correct. Our workshops are led by some of the most highly recognized authors in nonfiction writing for children. Better still, these authors will support you and help guide you toward your goals in nonfiction writing. Many of their classes still have openings. Which one will you join? Visit our Web site to learn more about these workshops, which take place near Honesdale, PA, or contact Jo Lloyd at 570-253-1192 or via e-mail at jo.lloyd@highlightsfoundation.org. PT: When writing nonfiction, some people believe the more details and information the better, but poetry in some ways is just the opposite – simplicity is key. How do you maintain that balance? LPS: You’re so right. I fight the impulse to stuff in too much information constantly. I want to share every single wonderful fact I learn! But then I would overwhelm and bore kids. To bring focus, I think about the one thing I really want the reader to leave with--a fact or question or feeling…but only one thing. And then I brutally cut what doesn’t help a kid get that one thing. For A LEAF CAN BE…, the thought I want kids to leave with is: “Wow! 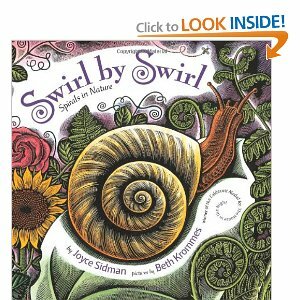 I never knew leaves did all that stuff!” I think in many ways a nonfiction poem or rhyming nonfiction book can be a teaser for a certain topic, inspiring kids to want to know more about something in the future. But it has to be wonderful enough to stand on its own, too, even if the child never explores that topic further. PT: Have you ever started a project in verse and found that prose worked better, or vice versa? If so, can you give an example? I did try rhyming nonfiction manuscripts for a few other ideas I want to write about before I hit on LEAF. But they just didn’t work. I tried one about how the layer of limestone near Mt. Everest’s peak used to be on the bottom of the sea. I love that story and have many prose nonfiction versions of it that have never sold. When I decided to write a rhyming nonfiction book, I thought that topic might have another chance. But the science and the vocabulary were too complex to make work in the simple rhyming framework I wanted to use. Darn! Anytime it feels like the verse is becoming the point of the story, I know I’m in trouble. Plot and character (whether it’s fiction or nonfiction, in my opinion) are the keys. If the use of verse is overshadowing them or forcing them on a death march, I have to get rid of the rhyme. It hurts, but by the time I make that decision, the manuscript is usually so painfully bad that it’s a relief! PT: In the idea stage, what comes first, poetry or facts? Or put another way, what happens first - do you say to yourself I want to write about leaves, or do you hear the cadence of “A leaf can be…” in your head, or is it some combination or alchemy of the two? LPS: Great question. Almost always, for me, the facts, the topics, come first. When my brain sizzles from some amazing fact, I know I want to write about it in some way. 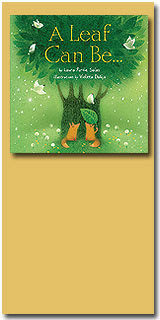 For A LEAF CAN BE…, I knew I wanted to write a rhyming nonfiction picture book, and I went looking for topics. I came across a poem I had written about Honduran tent bats and how they use leaves. Then I started researching leaves and all the cool things they do. I didn’t start thinking of words and rhyme and meter, though, hearing phrases or rhythms in my head, until my head was stuffed full of amazing facts. PT: Do you feel that in general editors are open to lyrical prose in nonfiction? And what advice would you give to writers who would like to incorporate more verse or lyrical prose in their nonfiction? LPS: That’s a good question. I think they’re more open to it than straight poetry, that’s for sure! Young kids love rhyme, and they also love to learn things. So if you can mix those two things, I think you can make a book that really appeals to kids, parents, and teachers. But…it’s not easy. 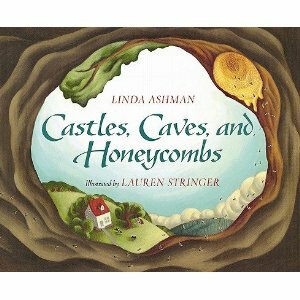 For writers who would like to try it, I suggest reading a ton a great children’s poetry, both rhyming and non-rhyming. 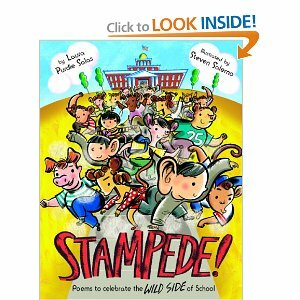 See Sylvia Vardell’s blog, Poetry for Children, and search for her Best Poetry Books of the Year for the past several years. That’s a great place to start. Then look specifically at rhyming nonfiction picture books. Joyce Sidman’s Swirl by Swirl, Linda Ashman’s Castles, Caves & Honeycombs, and Lola Schaefer’s An Island Grows are just three examples I love. And, of course, get feedback. If you’re in a great critique group, use it to get honest opinions about how to improve your work. For people who can’t get everything they need from their crit groups, or who don’t have one, Lisa Bullard and I run Mentors for Rent (MentorsForRent.com), an hourly mentoring service for kids’/ya writers. We often work with writers on rhyming manuscripts—it’s a really tough format to get right. PT: You are a prolific writer working with several publishers, and I was excited to see that you have written a guide for people who want to write for the educational market. What bit of advice would you offer someone who would like to break into that market? 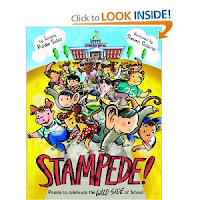 LPS: Writing for the educational market is a big chunk of my writing life. I learn so much cool stuff about topics that I had no idea were so interesting: Mealworms? Snowmobiling? Charles Drew? None of these topics wowed me at first, but they sucked me in! And this market can provide a small, steady income and stream of publishing credits, which is also great. Basically, getting work in this market is like job-hunting. You send out an introductory packet that includes a cover letter, possibly your resume, and some writing samples. You tell the editor why you would like to write for that publisher specifically, and you convince her that you are professional, hard-working, and congenial. And then you follow up every so often until you get your first (or next) assignment. I used to teach an online course in this, but then I put everything I knew about it into a print textbook (http://www.laurasalas.com/present/WCN_SG/desc.html). It’s not that difficult to approach editors, but it can be overwhelming if you don’t know where to start. PT: Thank you, Laura, for the great advice and insight into your writing process. Can't wait to see what comes next! Recently I had the thrill of being on the local morning show, AM Buffalo. I had sent a review copy of For the Birds to the host Linda Pellegrino hoping the selling point that Roger Tory Peterson was local (from Jamestown, NY) would spark and interest. It did. So, Friday I woke up to a torrent of rainwater and thaw flowing down my street. I hadn’t planned on wearing rain boots at the end of January, but I pulled them on and sloshed out to the car. I picked up my sister-in-law Terry, I figured it would be more fun with two, and it was a good thing I did, because we got lost. Well, not lost lost, we could see the building with its giant red 7 teasing us, but couldn’t find the way into the parking lot. Twice we made the same mistake almost ending up either on the Skyway or going over the Peace Bridge to Canada. With Terry’s help I kept calm and she read the map and although we did not get into the parking lot we did find a parking lot and walked over. I always imagined a TV studio busy and full of people, but it was quite quiet and stark. We sat around with another guest, a chiropractor, waiting for the hosts to show up. A large warehouse type room with small sets – a mock kitchen, part of a living room, a stairway that led nowhere, and a new’s anchor desk. Most of the equipment seemed to hang from the ceiling, lights, monitors, TVs and whatnot,except for two cameras and two teleprompters. The few people we met were pleasant, but not too concerned that we were there -- no pre-interview or a heads up about what they might ask me -- but that was okay because Terry and I just had fun taking it all in. A few minutes before the show was to go on, the hosts arrived, Linda Pellegrino and John Summers. They sat on their loveseat spoke to the invisible people only they could hear in their ear pieces and chatted about the day’s events. Then they were on. Bubbly, engaging, clear and crisp, they rarely faltered as they zipped through weather, banter and promos of what was coming next. Me! Thankfully, I could not see myself live on TV. And without cameramen there to distract me (it’s done remotely), I easily focused in on Linda and John and their genuine interest in my book. They didn’t ask me anything too difficult and I found myself at ease and able to have a normal conversation with them. 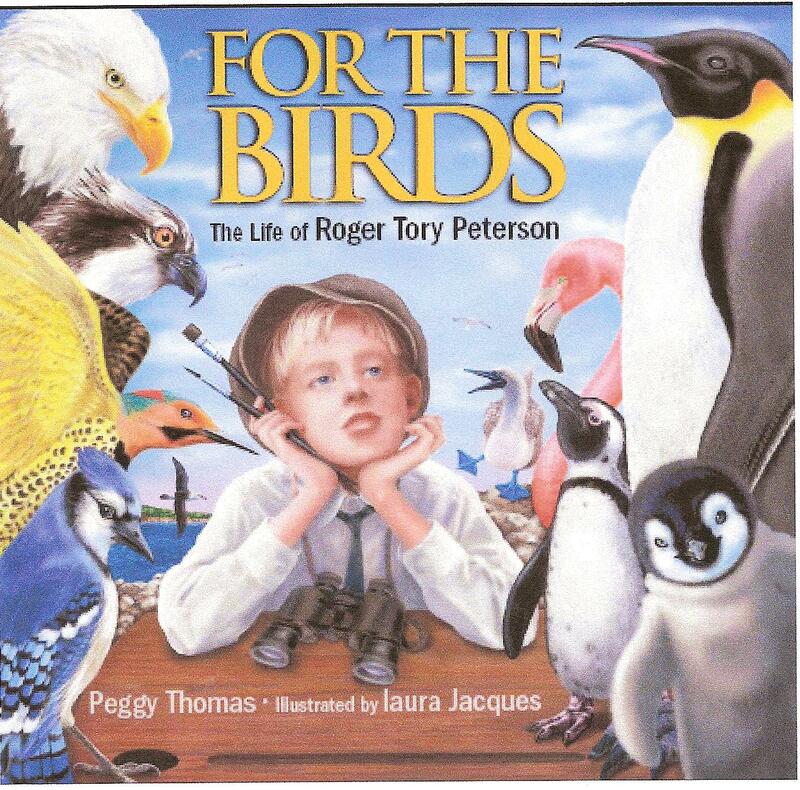 They showed off Laura Jacques’ amazing artwork, and helped me relate interesting bits of Roger Tory Peterson’s story. All too soon it was over, and I hoped I had not embarrassed myself. Sometimes doing research is like slogging through ankle-deep water. You have to go slowly or it will swamp you, and you have to be prepared – Not with golashes, but with extra pens, paper, change for the copier, etc. Unlike fiction authors, nonfiction writers need a solid plan or map to help them navigate all the information that is out there. If you don’t have a clear idea of what you want to write, you may end up lost. If you lose your way, enlist the help of experts, archivists, librarians who know where to look. They can get you to your final destination. You have to enjoy what you are doing and understand that others won’t necessarily care about it as much as you do. Your enthusiasm needs to carry the project through. I certainly will, especially now that I know how to get there.